Note: For slope, enter an EXACT RATIO VALUE (not a rounded approximate value). 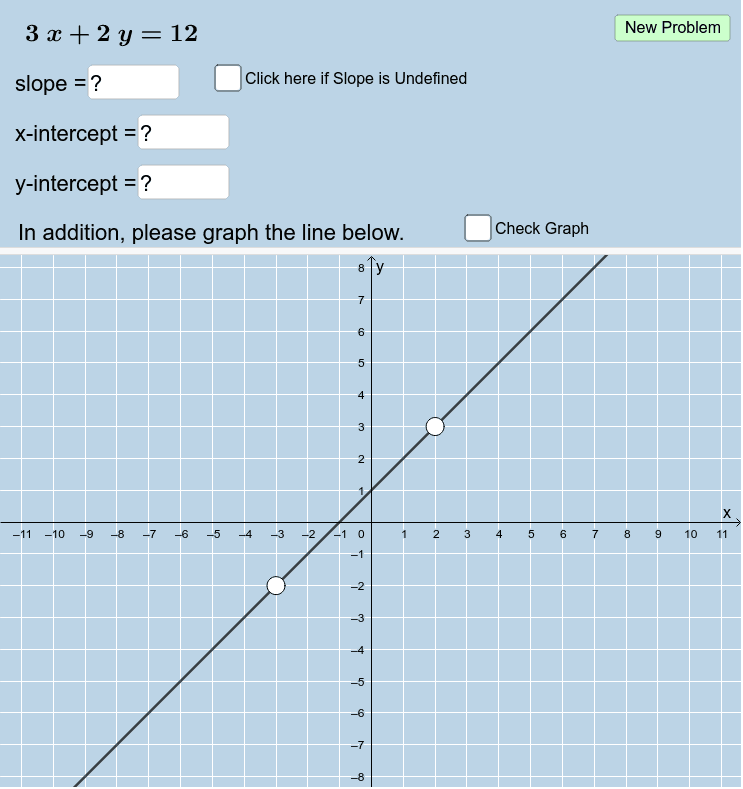 For x-intercept, simply enter the x-coordinate of the graph's x-intercept. For y-intercept, simply enter the y-coordinate of the graph's y-intercept. Be sure to click the "Check Graph" checkbox to check your graph (afterwards).